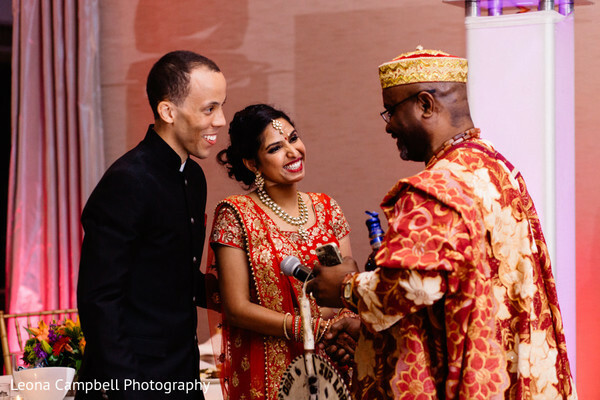 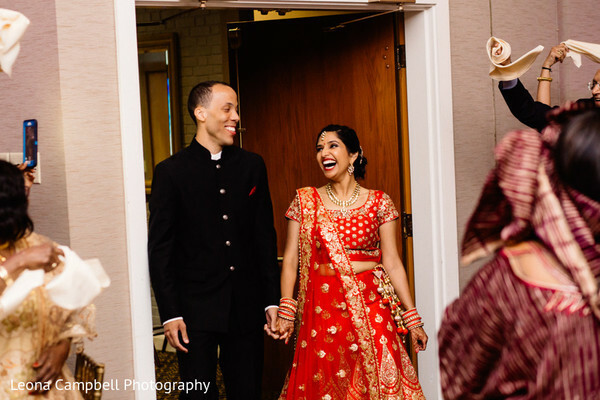 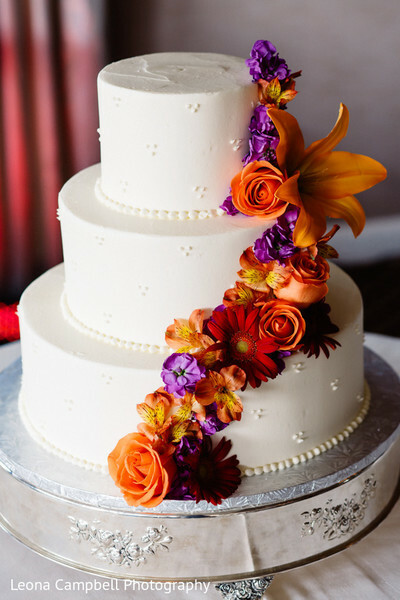 After our lovebirds affirmed their love in two equally beautiful ceremonies, it was time to celebrate and they moved indoors The International Golf Club and Resort for a party blending lovely details from both Indian and Nigerian cultures! 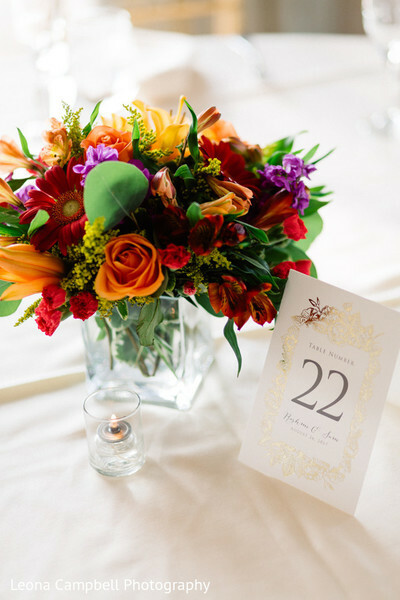 Colorful floral centerpieces by The Flower Pot welcomed their guests to a unique night where even their palates were amazed by a delicious meal. 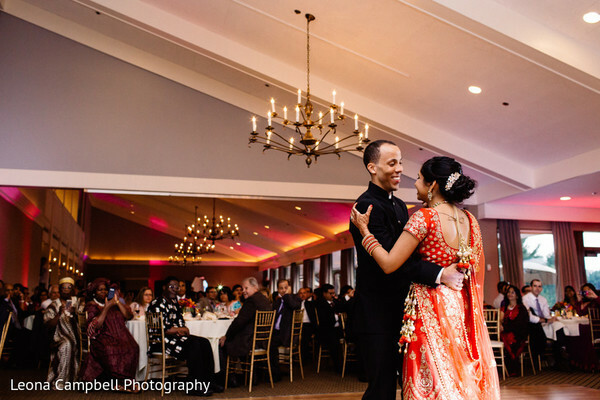 The perfect fuel to dance all night long by the beats of Silk Events after our lovebirds opened the dance floor performing a romantic first dance! 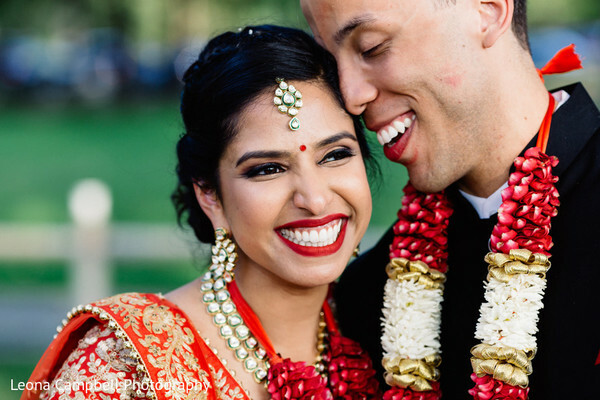 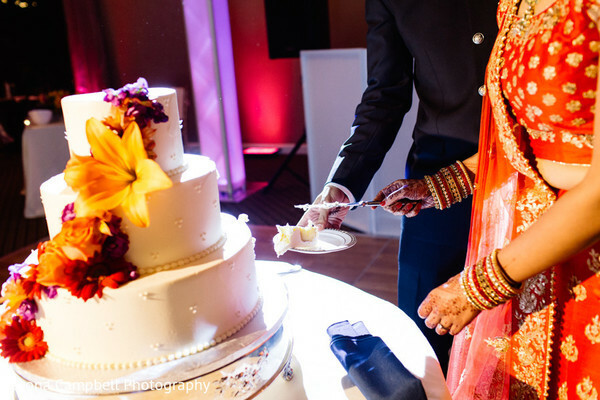 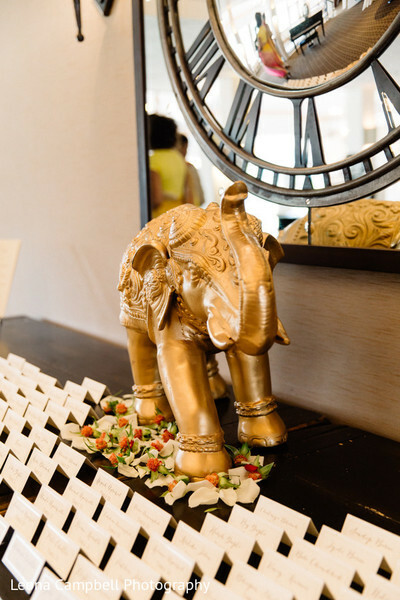 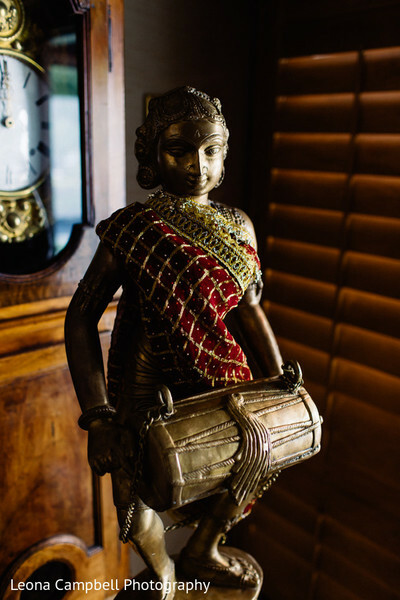 This was surely a successful fusion wedding, it's all in the details and Rashmi & Sam made sure everyone felt loved and welcomed guests from all over the USA, India and even Barbados! 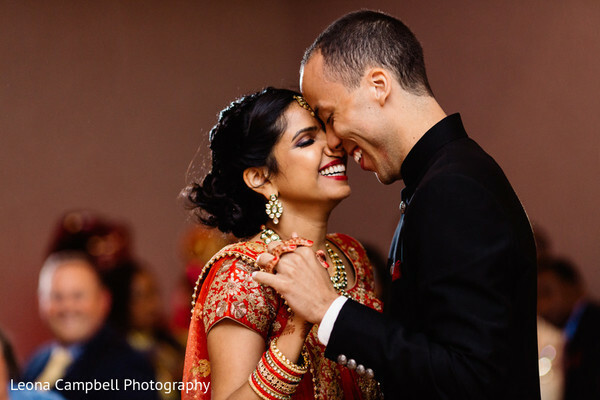 Head to the curated gallery by Leona Campbell Photography and enjoy!